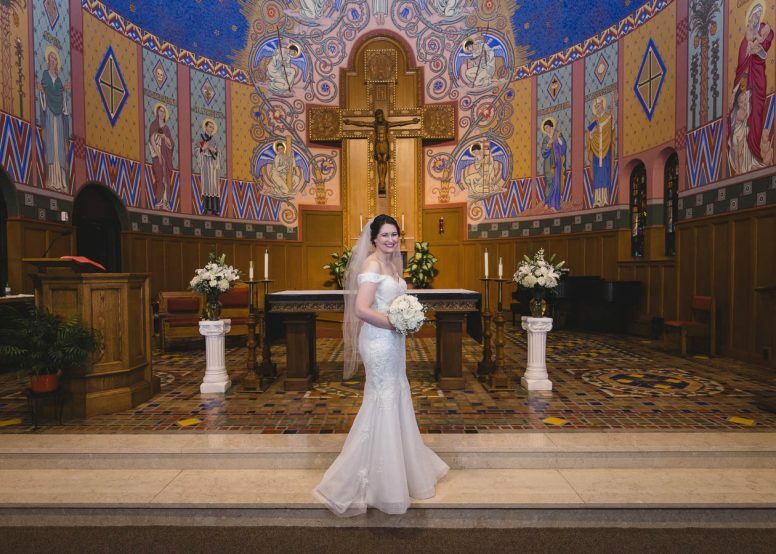 We’ve photographed several church weddings and St. Aloysius parish in Bowling Green, has one of the most beautiful sanctuaries for a backdrop. 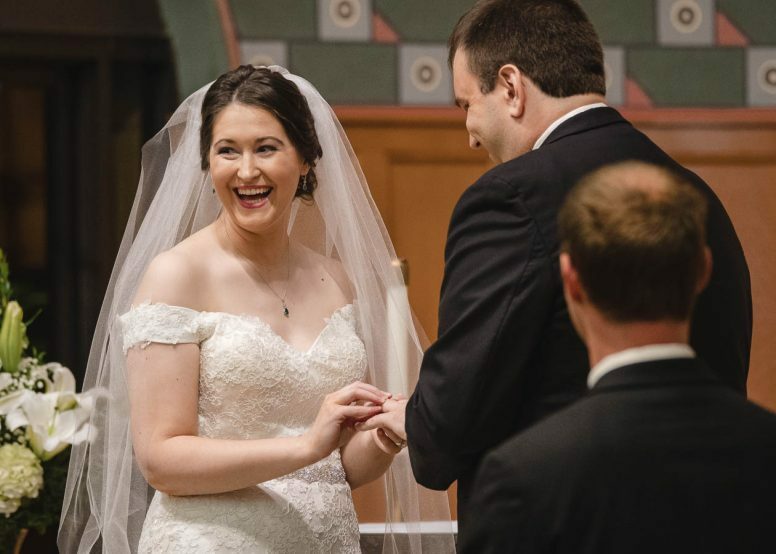 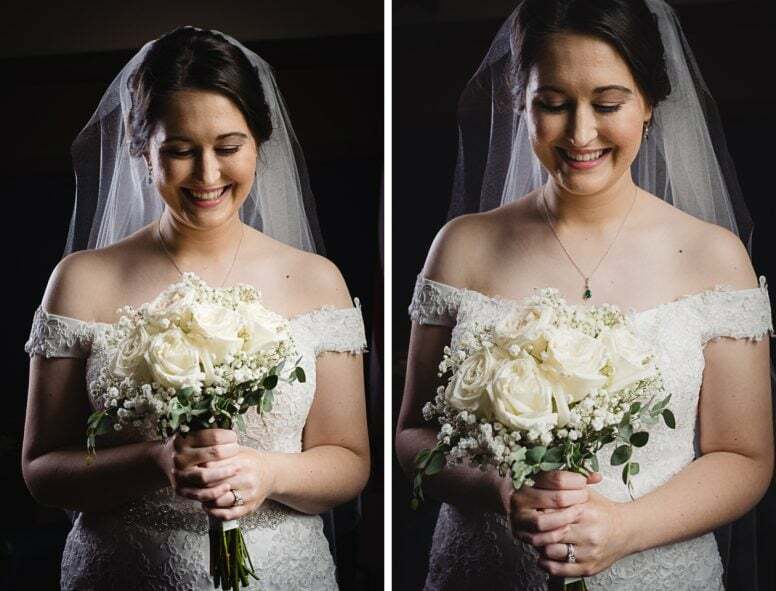 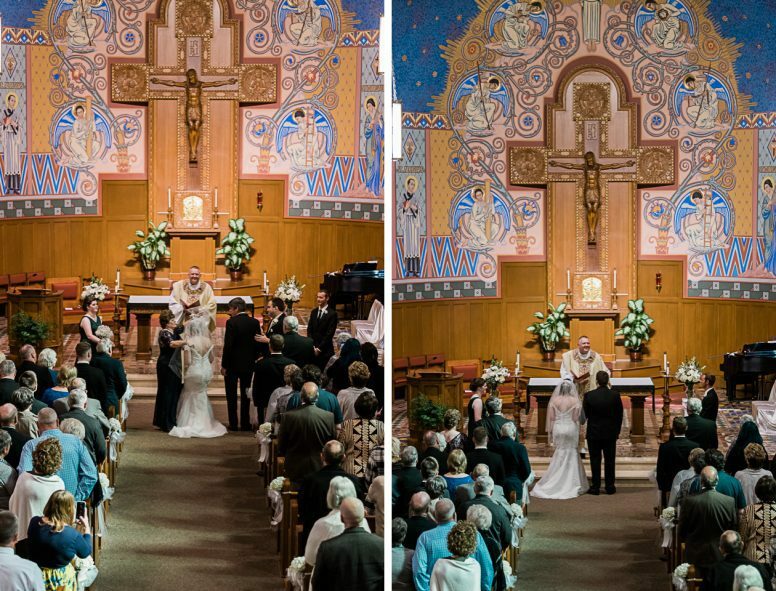 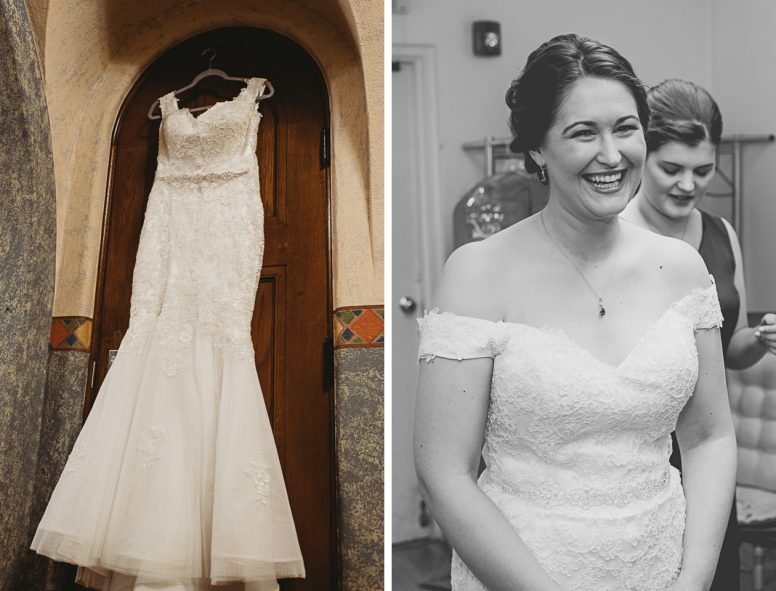 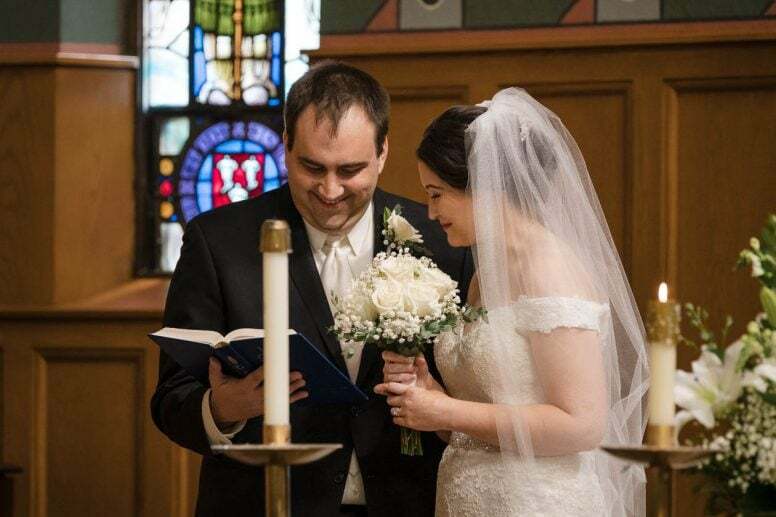 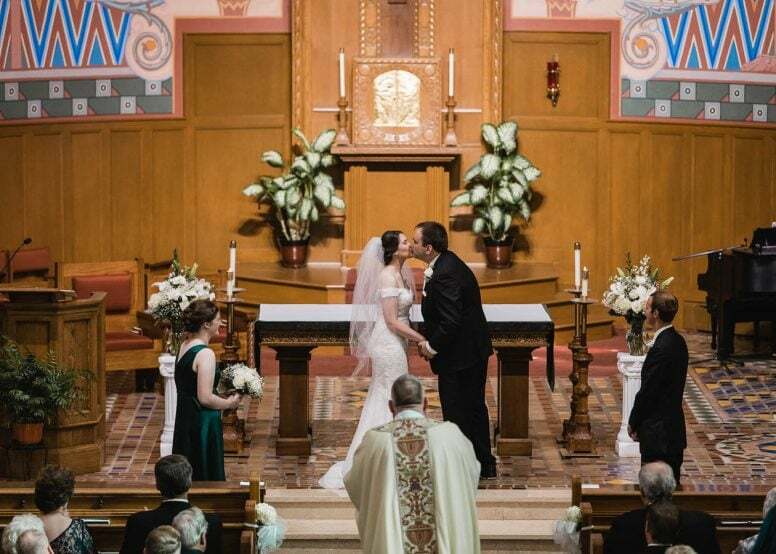 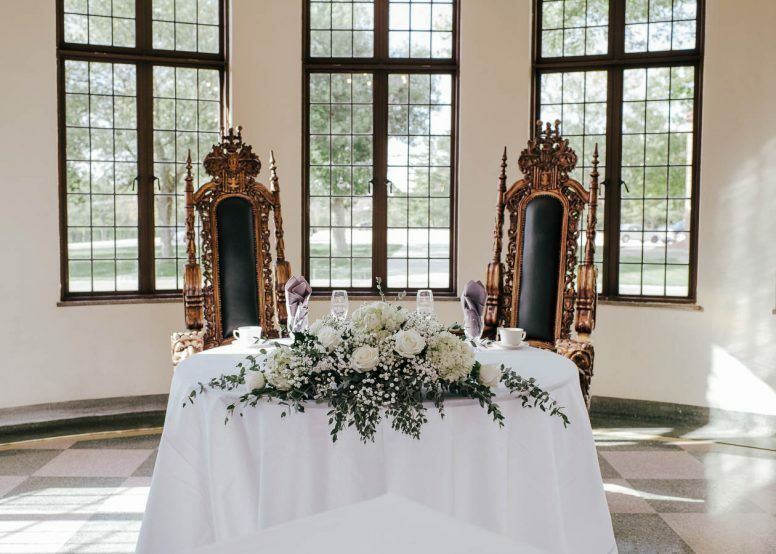 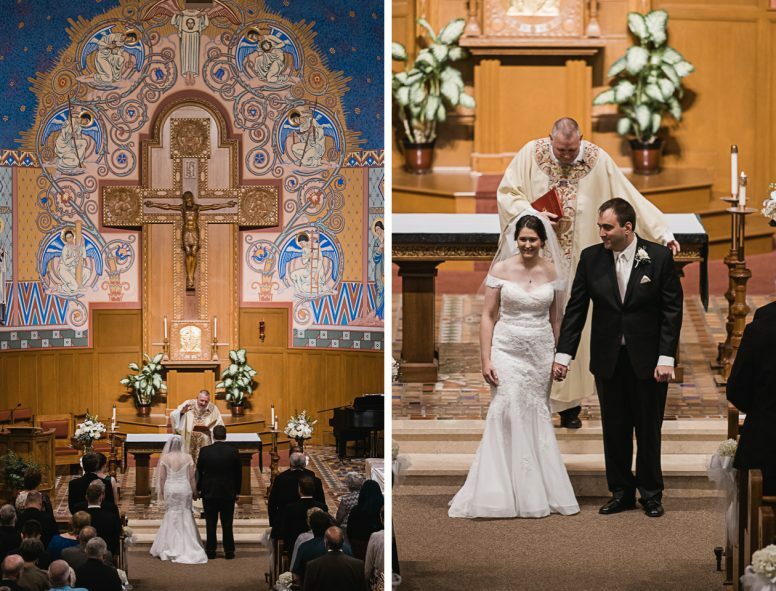 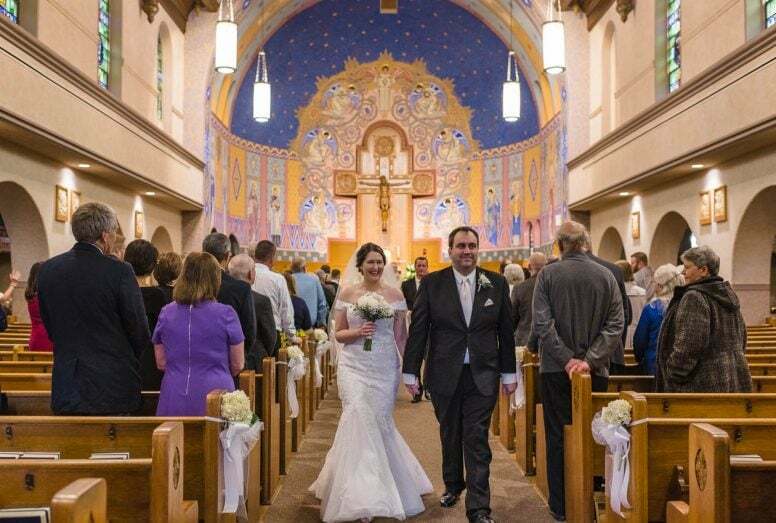 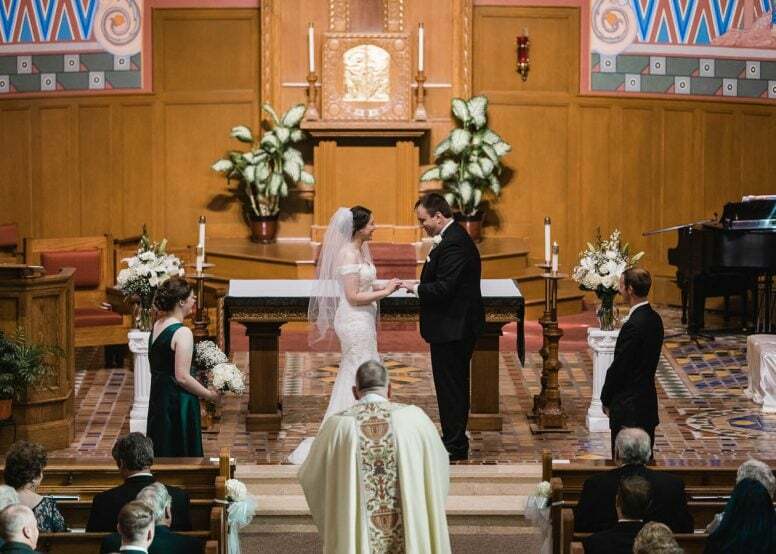 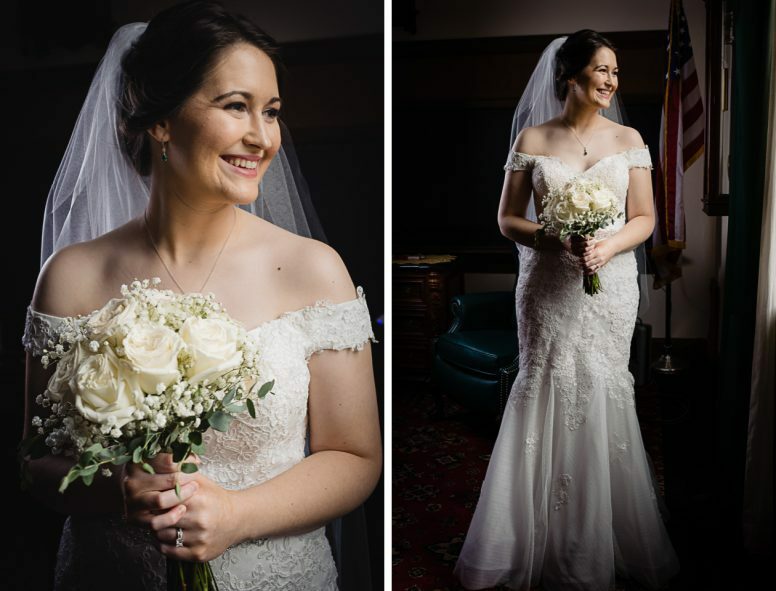 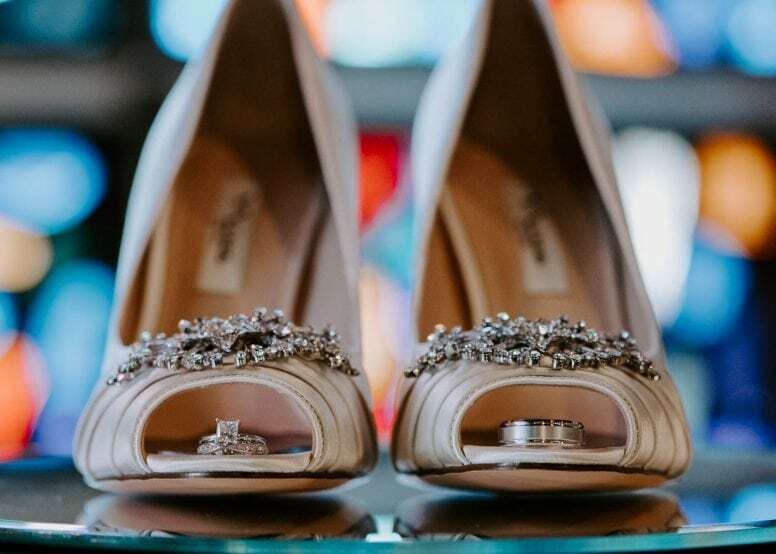 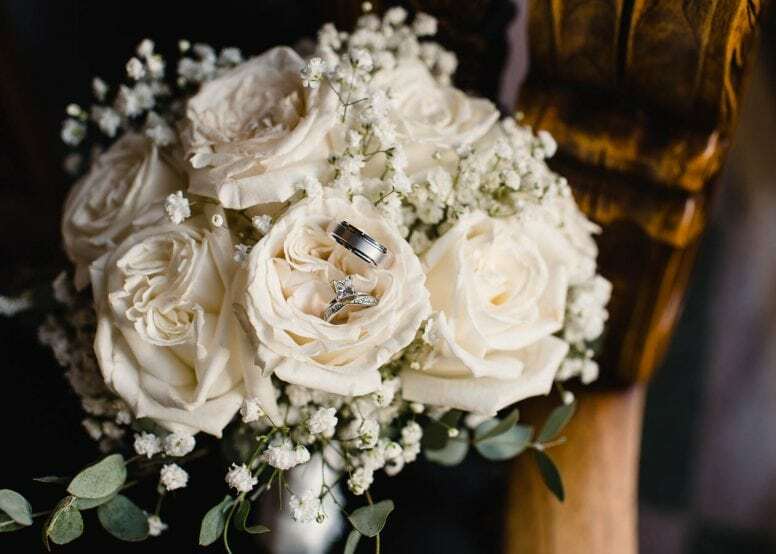 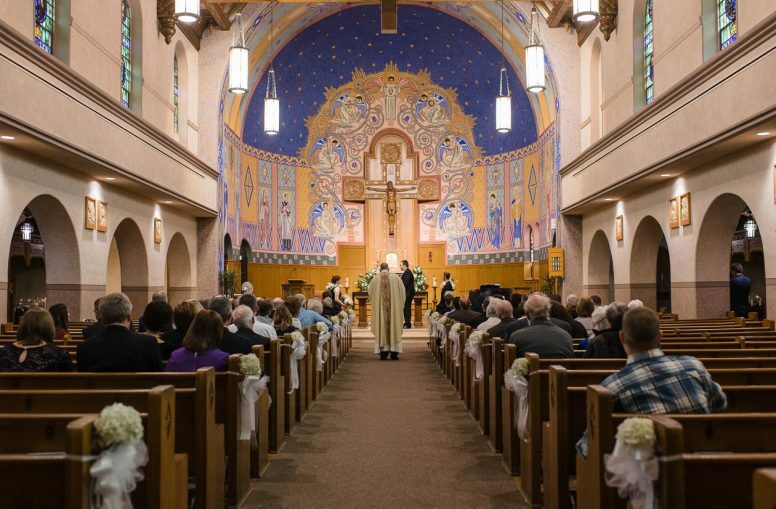 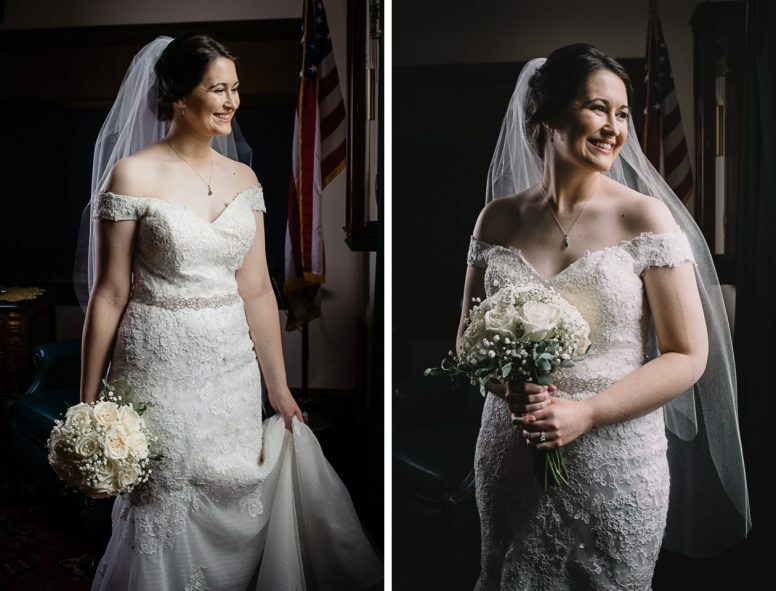 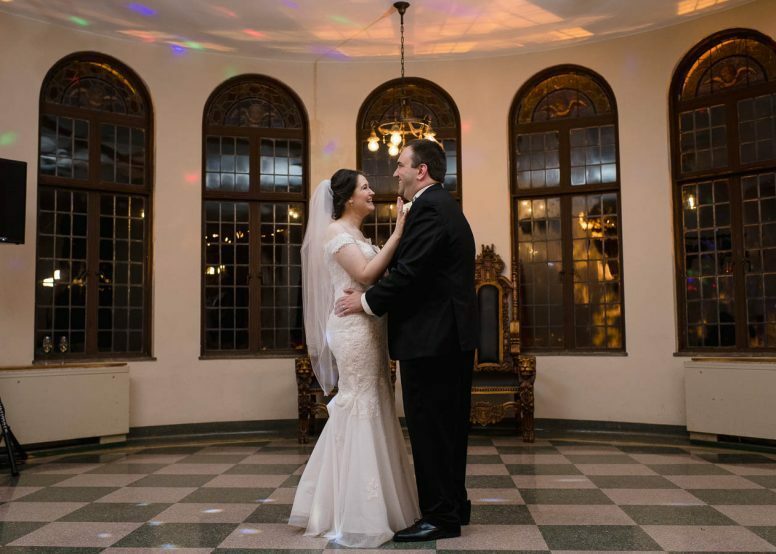 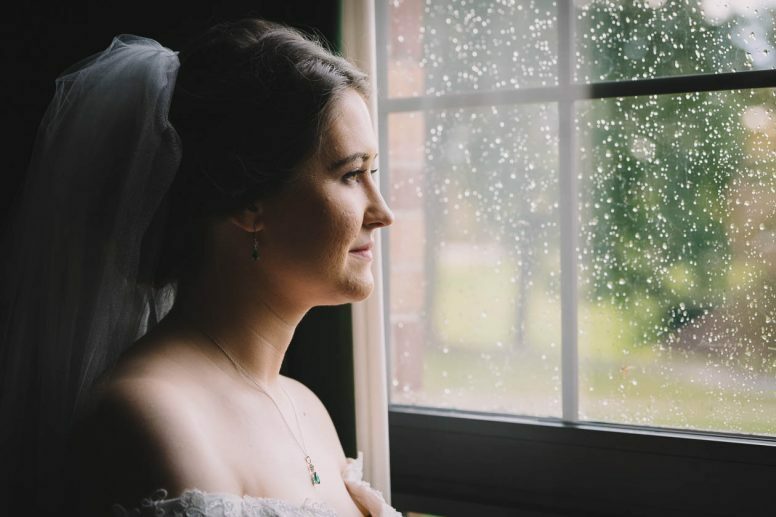 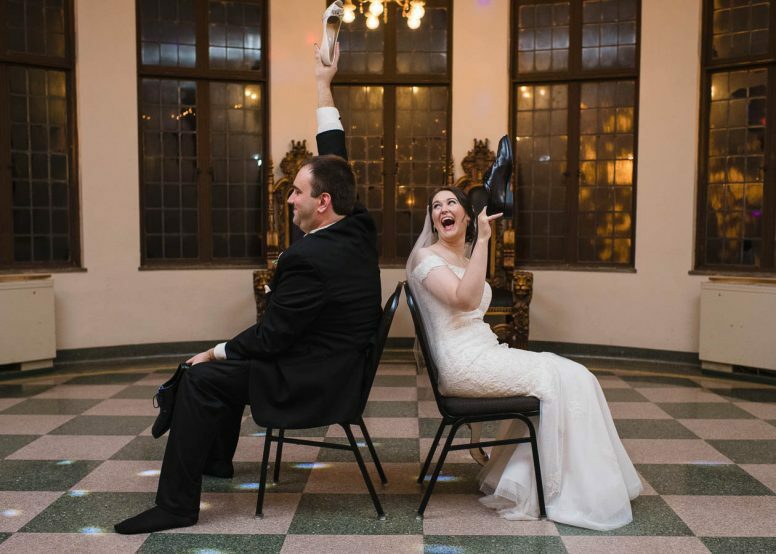 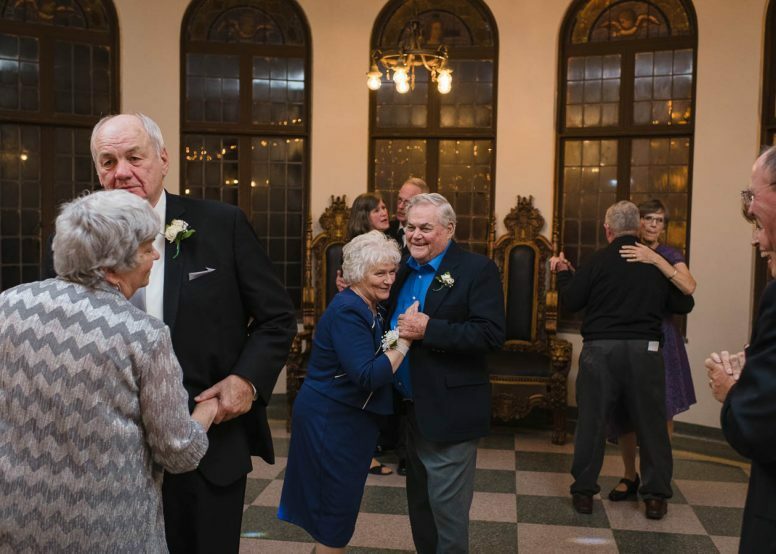 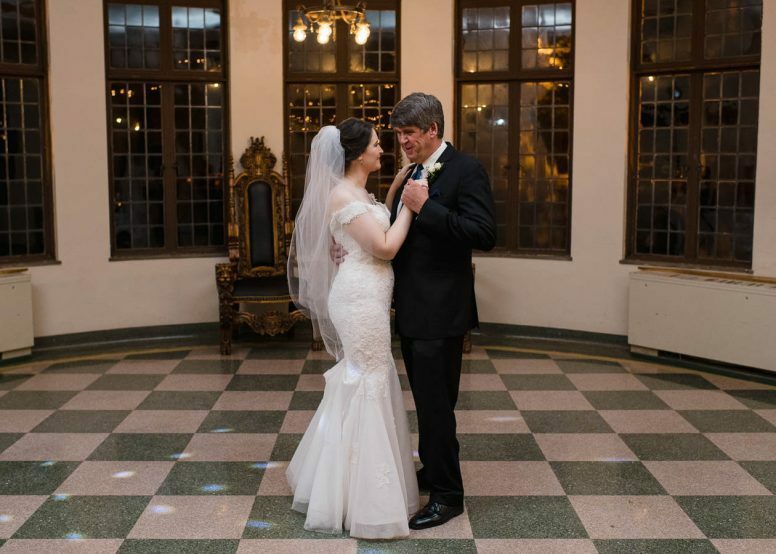 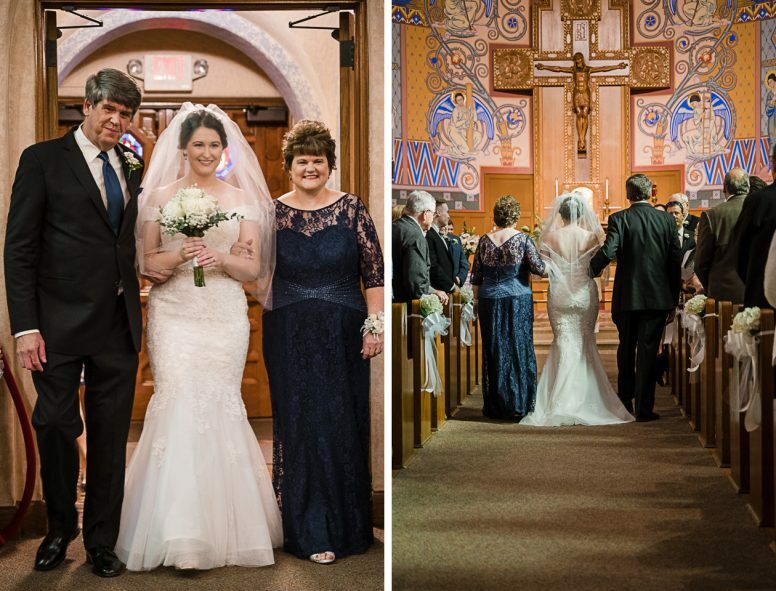 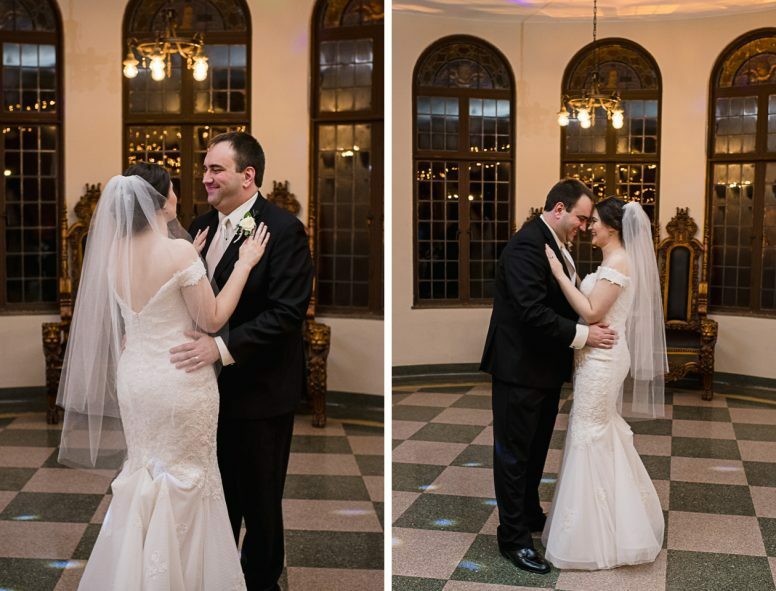 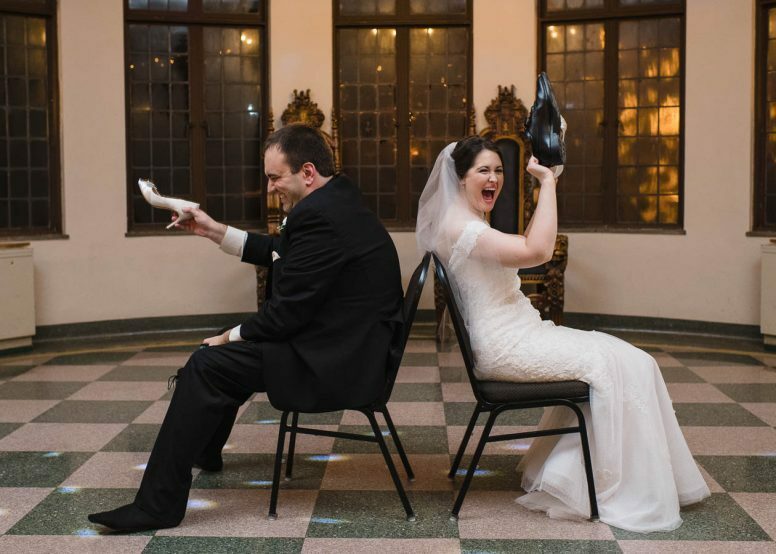 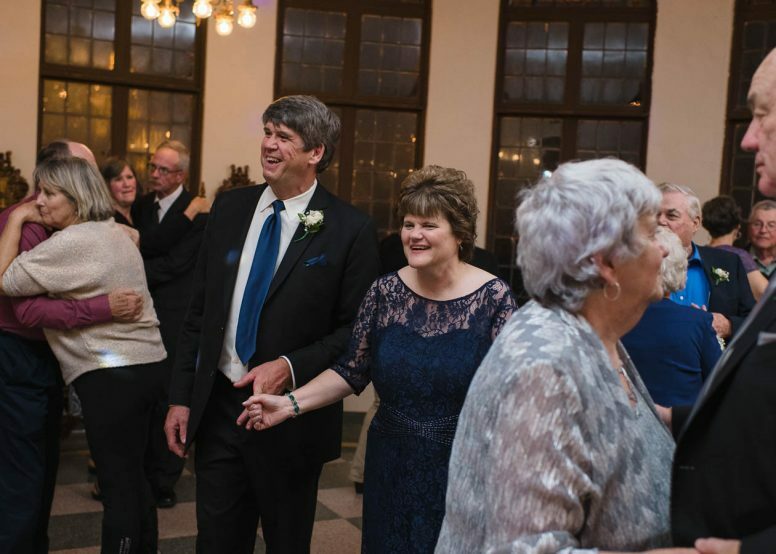 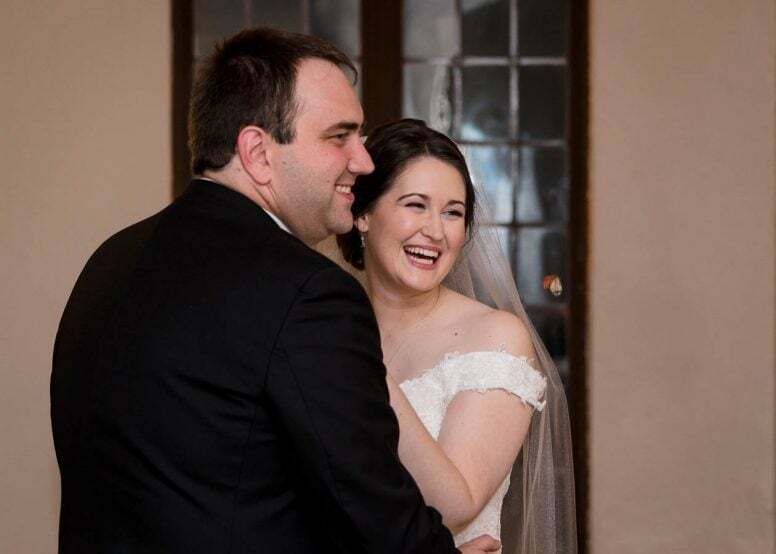 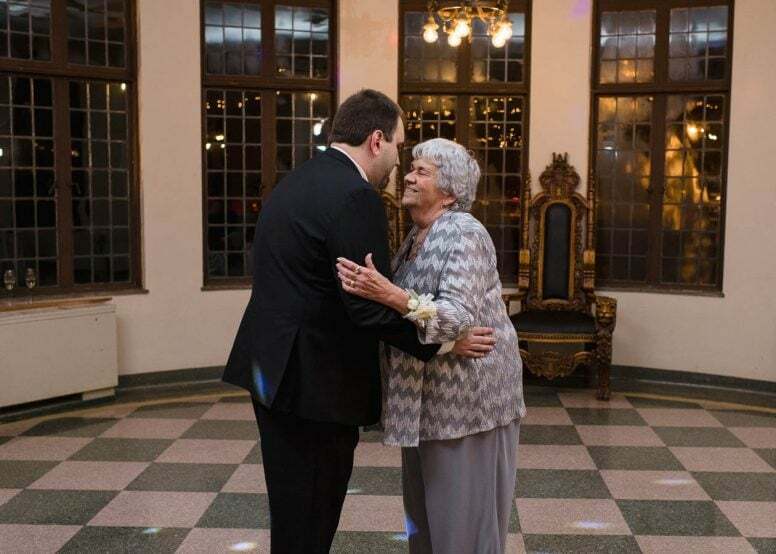 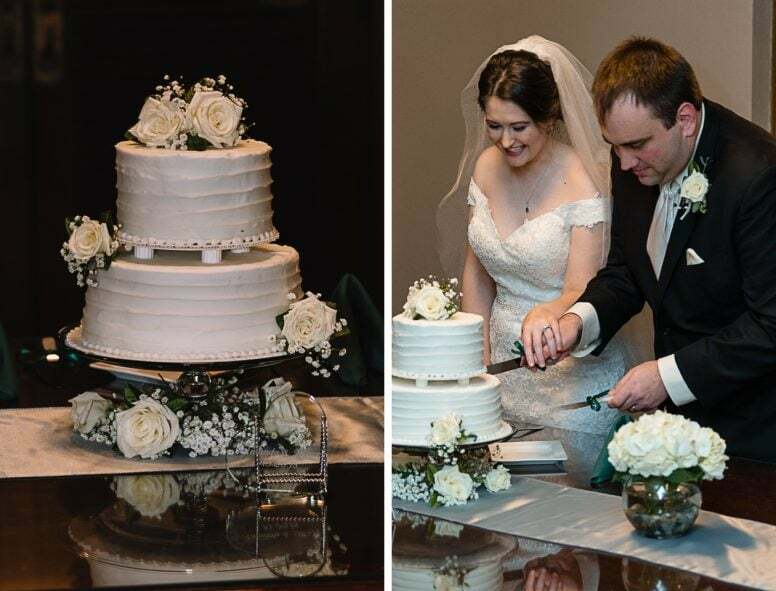 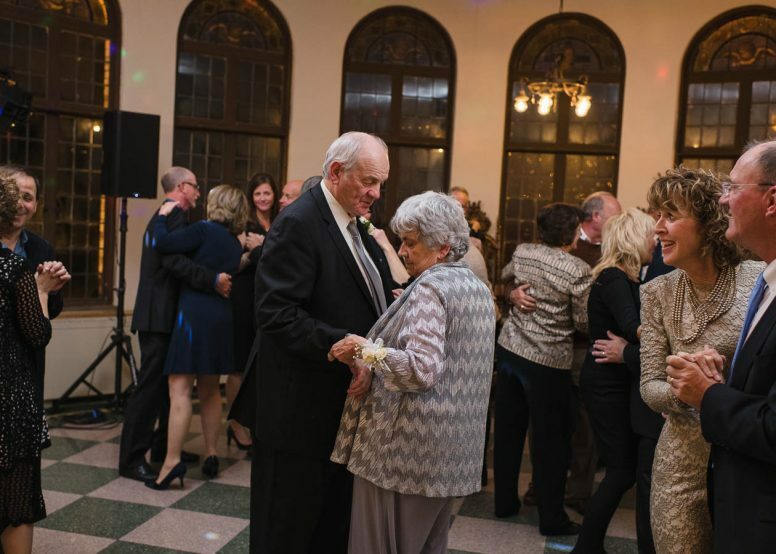 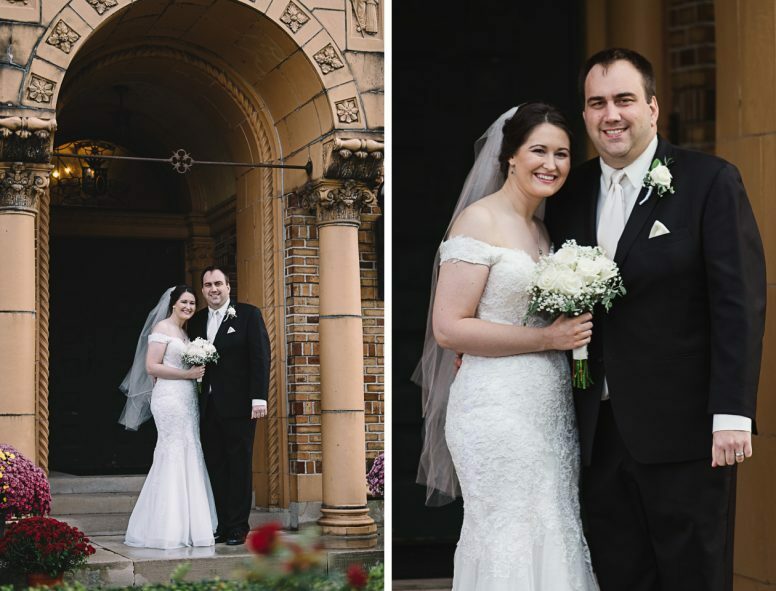 Marc and Amanda’s wedding day was intimate and elegant that started with a small service at the church, followed by a reception in Cadet West at Nazareth Hall in Grand Rapids, OH. 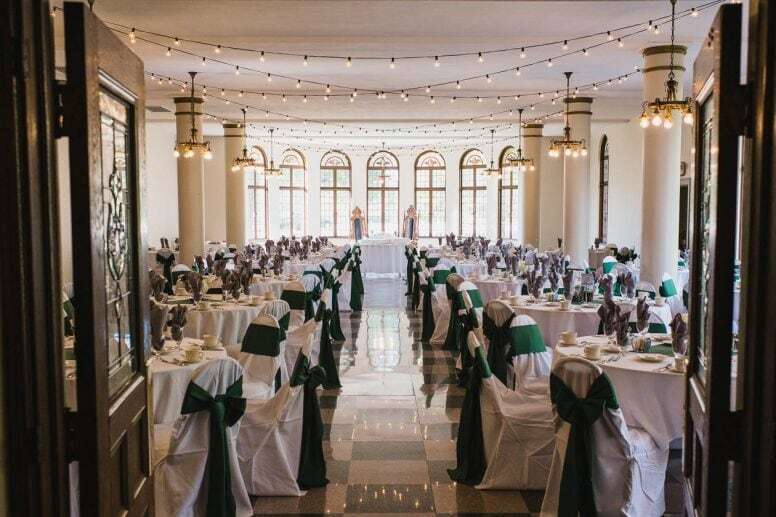 The couple both love hunter green and dark gray and chose those for their accent colors. 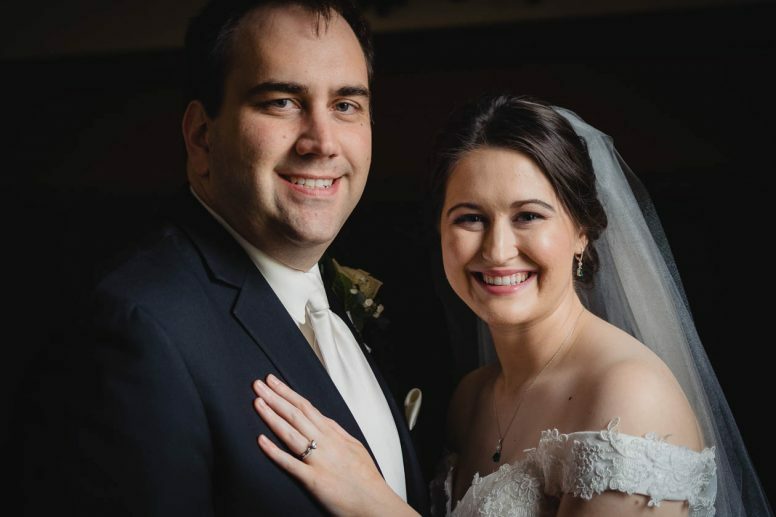 We met with Marc and Amanda a few times prior to their big day and loved getting to know them, and think we were just about as excited as the families for them to get married! 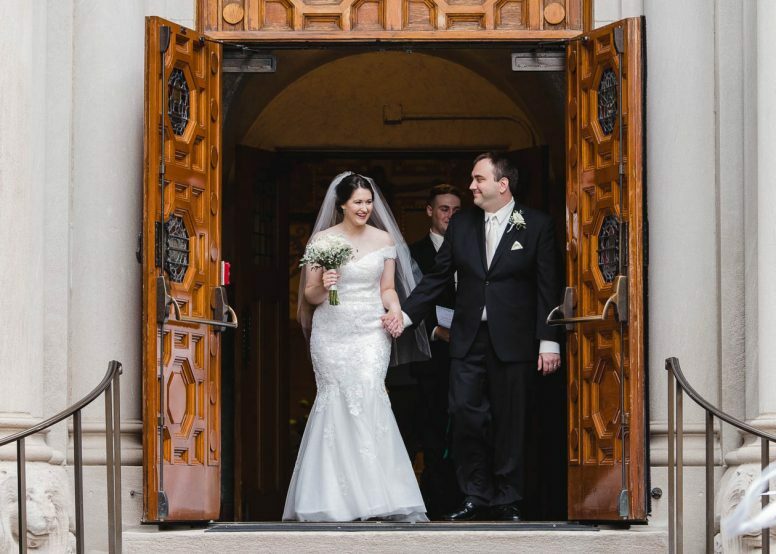 The morning after their I Do’s, the newlyweds jetted off to the Bahamas to bask in the sunshine for their honeymoon.